Yep - Half of the connectors hinge up and then you can pull the cable out. The shielding cans just pull off too - they're attached via clips. The QSPI flash is on the side of the board nearest the screen. You don't have to solder directly to that device because the pins are brought out to test points which are pretty easy to solder to. You'll need some decent thin (kynar) mod wire though. You'll also need to get a ground connection from somewhere. I used one of the test points from the group on the same side. Photo attached. I tried a soic-8 spring clip but there's not enough space. As someone noted previously, ther hudl kernel sources do not contain a .config file. They're also missing some drivers - there are some broken symlinks in the drivers folder. Googling "external_drivers" - where the broken symlinks are - brings up some that look promising on line but I struggled with those for a bit and failed to get a working kernel built with them. In terms of what you need to do to program it, I used a beaglebone with an Adafruit 3.3 to 1.8v level shifter. Any 1.8v SPI programmer should be OK though. This is covered well in the teclast blog links I referenced before. Driver support in the OSs I've booted (ubuntu and fedlet) is not very good. Wifi and touchscreen don't work as well as some other bits (I forget exactly what else). I managed to build and boot a 4.1 mainline linux kernel and a minimal initram fs though. I can't boot from a micro sd card but can boot from a USB device (including a micro sd card in a USB adapter). I haven't tried installing to the eMMC. Re /dev/mem - I think there may be a couple of issues there. Firstly, I believe the kernel needs to be built with /dev/mem support. Also I think the baytrail can disable write access to the SPI rom. Connect the LV to the VSPI test point and HV to 3.3V (or whatever the voltage of the SPI programmer is). Connect the pins from the programmer to the HV size and connect the LV side to the hudl board. A Pi should work fine - it has a SPI interface and there's bound to be loads of info on how to use it online. As I said in the last post, I tried a test clip but there wasn't enough room around the IC. The small resistors near the pads meant it didn't stay on. No the only Android I've run is the stock image, everything else has been Linux. If you've never soldered before, I'd at least watch some tutorials, read up and practice for a while before trying it on your hudl! How do you find the hudl2 as a Linux device? Any chance you've got a list of the unsupported devices? I'm thinking of getting one in order to run a real distro on, it'd make a decent netbook size device with one of those Bluetooth keyboard cases. As for the SPI level converter, that one you linked looks like it's entirely passive, how reliable was the ROM dump? Thanks Badger1729 for the info... will order a Pi and a logic level converter and see how it goes. As the driver support isn't there with a Linux system I'll probably try custom kernels under Android, though it may be possible to run a modified Hudl2 kernel in a GNU userland system if the progress this article predicted has been made now http://www.zdnet.com/article/android-and-linux-re-merge-into-one-operating-system/ ...but if I can run fully customised Android I'm not sure what advantage it would give. Reading up on the android kernel, there's no .config file - the configs are described as being in the .android directory instead, and the Hudl2 kernel download seems to have the config in two files in the android/configs directory: android-base.cfg and android-recommended.cfg, where CONFIG_MODULES is not set as expected. None of the available distros (ubuntu, fedlet) make it usable as an actual tablet. Some work is definately needed to build a kernel with better support for the hardware. The Wifi, battery level, bluetooth, touchscreen and camera didn't work. There was a problem with a MTD driver too. The screen worked (but backlight was on 100%). USB OTG works so I connected an external wifi dongle, wireless keyboard etc. through a hub on OTG. That level shifter is active - the three pin components are FETs. Before committing to flashing the image back I read the flash a few times (~10) and it retrieved the same image each time so signal integrity seems to be good enough. If the worst happens, You can pick up a huld2 for <£20 on ebay with a cracked screen and swap the PCBs over. I think those .cfg files you mention can be used to create a base .config file to build the kernel against. This can then be modified with menuconfig. Beacase Tesco didn't release their .config file, we don't know exactly how the official kernel was configured. There's also the problem of the missing "external_drivers" - finding these or hacking the Kconfig files is needed to build the kernel at the moment. Has anyone tried soldering the SPI ROM like did badger1729? I'd like to try it but I'm hesitating. As for these missing drivers needed in building a working kernel, they must be available as files somewhere in the actual Hudl.Could we not use them as they are and make a kernel with them? Tesco has made it clear the are not going to unlock the bootloader, several people have written them and have received a response back, the response is they have no plans on unlocking the bootloader. I can't speak for your country but in USA there is no requirement for a company to unlock the bootloader, most do cause of sales. Locked bootloaders usually hurt a companies sales, in this case Tesco is ending the hudl2 so they don't care about sales. As someone has already suggested, for all we know Tesco's contract with Pegatron may legally bind them not to unlock. I doubt that, no reseller would in their right mind sign such a contract, my guess Tesco is going to release something else and wants hudl2 to die off unlocking the bootloader extends the life of a product. Why not? The evidence we have suggests that all Tesco ever did was "Tesco-ise" the Hudl, i.e. add bloatware, and they got given Android ready to run from Pegatron. In those circumstances Pegatron would be keen to establish the limits of their liability, particularly for support and returns. The level of returns (or attempted returns) goes much higher when hobbyists are bricking the devices. And where is the downside for Tesco in signing such a contract? And if you think Tesco is going to release something else, I recommend you read the corporate accounts and the market analysts' view of the company. Tesco has lost its way financially, They are desperate to shed non-core business and stop the grocery core losing market share, and as yet they are a long way from achieving the latter. There will be no more excursions into markets where they lack core expertise. The ROM is still downloading right now, so I'll have more of a fiddle with it once I've got the whole thing. Found Winbond flash chip "W25Q64.W" (8192 kB, SPI) on buspirate_spi. Hey man that's cool. Are you gonna flip that bit and make it boot stock Android? Calibrating delay loop... OS timer resolution is 1 usecs, 3725M loops per second, 10 myus = 9 us, 100 myus = 100 us, 1000 myus = 959 us, 10000 myus = 9571 us, 4 myus = 6 us, OK.
Baud rate is 115200 now. Found Winbond flash chip "W25Q64.W" (8192 kB, SPI). badger1729, if you're still around, did you run into this issue with flashrom? Or anyone else who did this hardware hack. I know my setup works as I tested it on an SPI ROM chip from an old motherboard. I've tried different SPI speeds with similar results. I'm new around here. Been looking for an unlocked BIOS for the hudl 2. Noted this topic has been on and off over time so I decided to continue with some input to help anyone here that maybe still trying. I have recently got from a boot sale a boot-looping HUDL2 for a few quid, So I didn't mind using it as a sacrificial lamb. 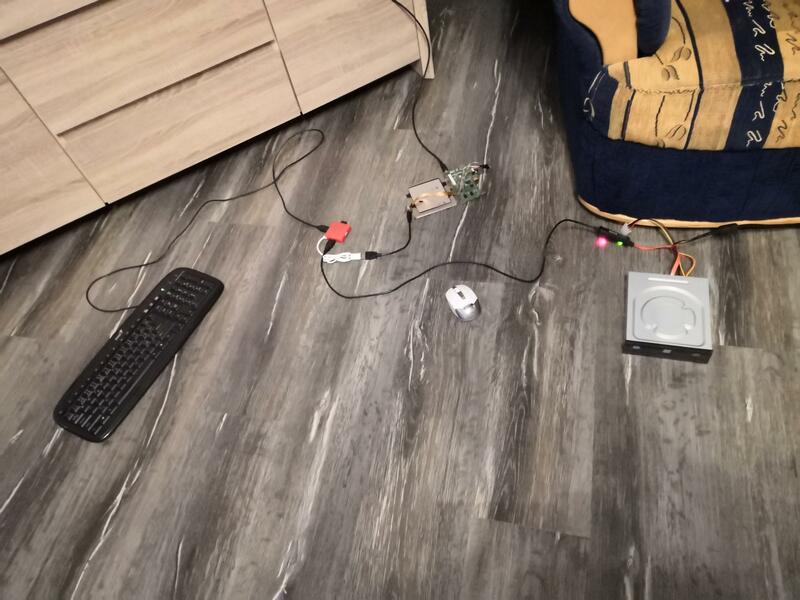 I desoldered the flash-ROM, read it using a multi-programmer tool and verified it several times. Here is the BIOS image I extracted and here is the tool I used to read the ROM. The BIOS ROM is not OTP (One time programmable). TheSeth, there maybe noise getting into your circuit, however I don't mind trying any mods out you or anyone else comes up with as I now have a backup of the entire BIOS if anything goes wrong. 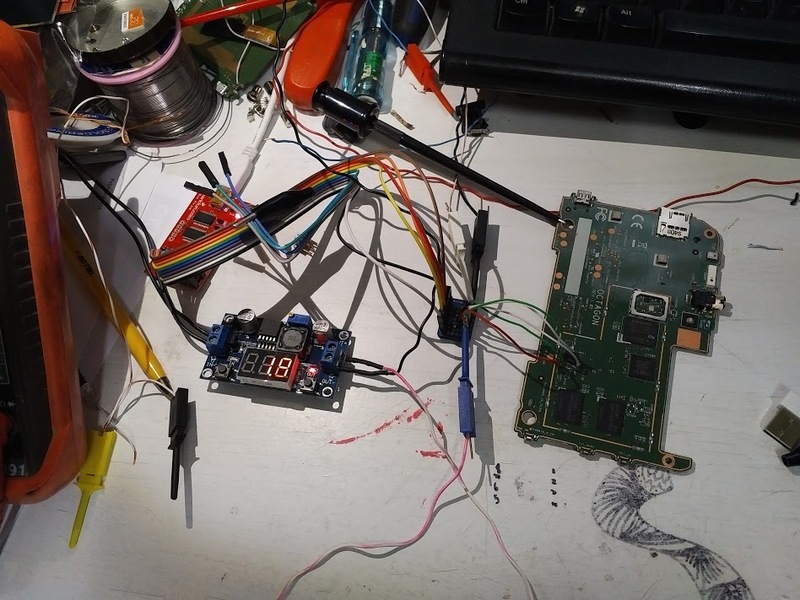 I reflowed the chip back to the board and checked the Hudl still boot-loops to ensure I didn't fry a BGA chip (They're insanely easy to kill). Is the NVRAM template in the BIOS checked (signed)? If not then it is as simple as flipping a bit to disable secureboot, reflashing and leaving the battery disconnected for a while. hi. thanks for the info. lots of people would be over the moon to get the bootloader unlocked. i posted on the "found hudl2 compatible flash tool via fastboot" thread since they also mentioned this approach on there too. @unferium That BIOS image looks similar to the ones I managed to pull off before my bodge-y attempt pulled off one of the test pads. I'll give it another go and post my results. Hello, we found this thread. I got a Tesco Hudl 2 tablet with a broken screen that I do not even have. I wanted to try to replace the android, but secure boot did not allow me. I read eeprom programmer CH341 with 1.8V voltage converter. In UEFI I have modified 2 bits - secure boot and secure boot enforce. I did it for the first time, but I'm easy to orientate myself. Then UEFI flashnul back and the tablet works. In addition, the secure boot is turned off because it reads data from an external drive longer, but then the jam loads, I do not know what's going on, as I do not have the display and it does not show anything on HDMI before the graphics driver loads. I would like to have someone try it and in return send back photos of what it does and how it goes, what could I enter blindly? I also found the part where the key to Windows 8.1 is stored in UEFI and I also pulled the PK, KEK and DB certificates, which are included in the archive and we also managed them in hex. editor to do standard certificates in my own way. And we still have a little bit of time to break the start by blinking the ESC key, but it may be blocked, but UEFI is ready for it. Have you got the original flash dump from before you edited it? I'm in the process of setting up an ft2232 to 1.8v spi adapter to read off a couple of dead boards. I know 1 flash chip works as it'll boot into android so I hope to get a working image off that and I've got 1 flash chip I think is dead which I'm going to try and read first. I have no problems soldering and my soldering skills are pretty good. 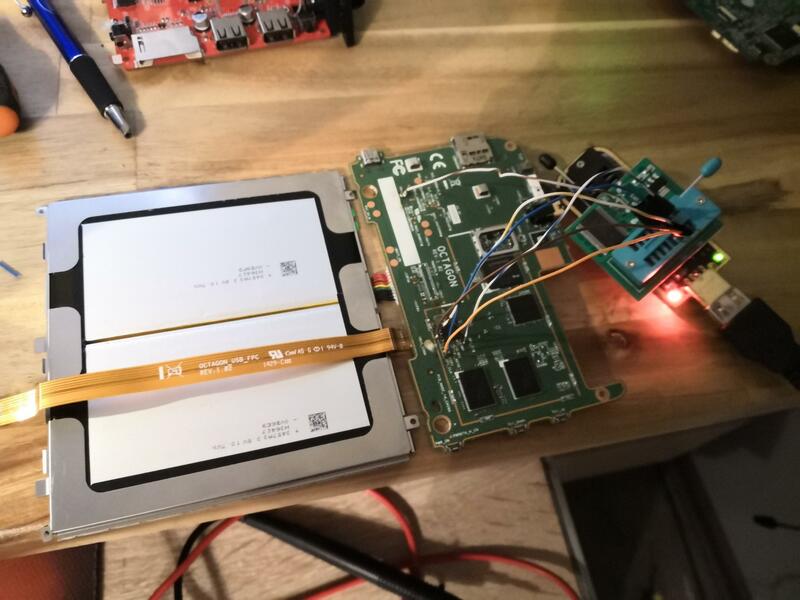 I've got some bga stencils on order as I'd like to see if I can read off the emmc chip and get the partition details, looks like the Samsung emmc flash that Tesco used in the Hudl 2 is known to be problematic as I believe certain Sony phones have the same boot loop/crappy emmc issue. Would be great to get a working android image zip to flash to an emmc to try on the boards. Hi, I do not have a copy of flash memory, because I could not create it, so I actually have, but only a few sections, the most important. Would you like to share them? It's almost 4GB, the system was working. 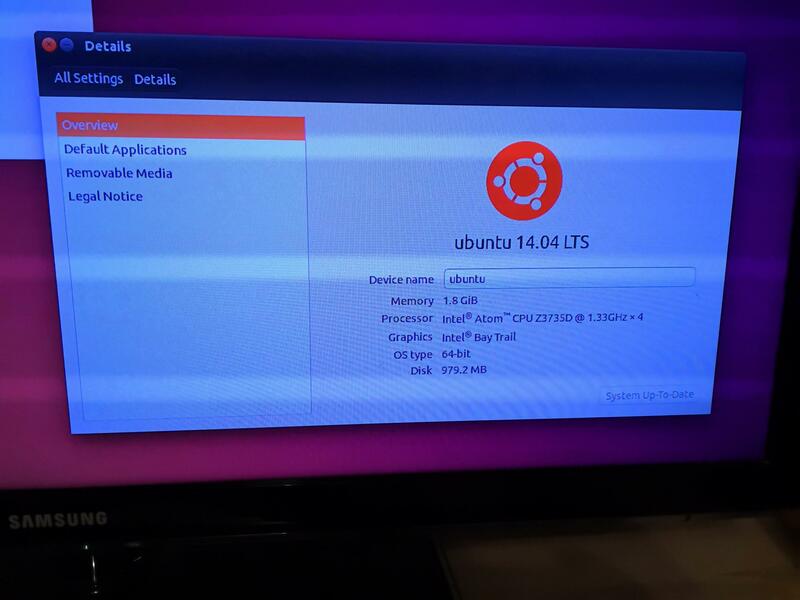 I've already started Linux Ubuntu on it and runs smoothly, booting directly from internal flash memory. It really works, Secure Boot is off! I can't boot Windows (7, 8.1, 10 - x86 / x64), it actually boot, but then it crashes. 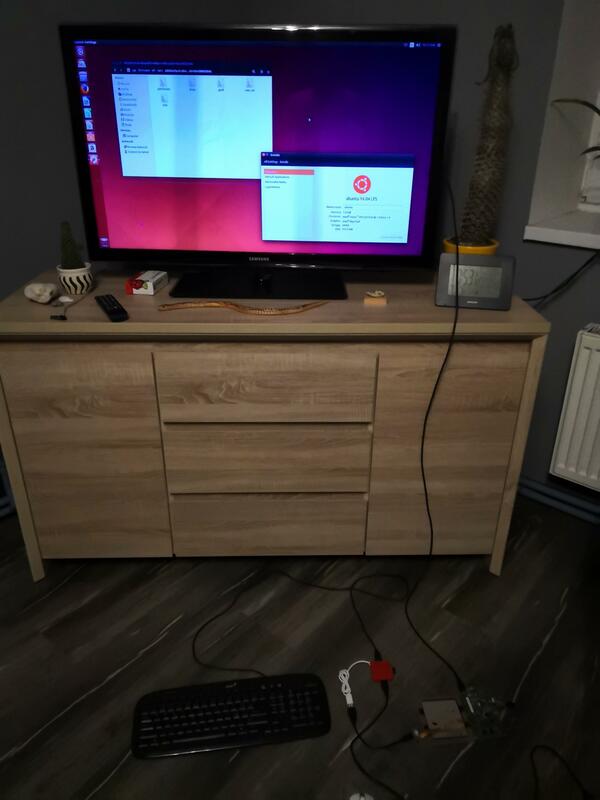 I don't have a functional display, I don't see what's going on there and it only works on HDMI when loading a Linux-based OS, or after an iGPU driver. Even so, I am very happy for success, it was my first shutdown of SecureBoot. PS: In the appendix, I attach a photo from SPI memory programming and Linux Ubuntu testing. Thanks so much for your helpful insight. I'm not having much luck reading off the flash chip with my FT2232 adapter. I've tested software in windows and ubuntu but the flash doesn't respond so I may have to get a programmer like yours, the CH341 and 1.8V adapter. At least then it's purpose built for doing this job!